This page is here to help you get answers to the most commonly asked questions. By reading this page you should gain some basic knowledge in helping you decide which way to light your garden/ outdoor space. What is garden lighting/ what are the differences to internal lighting? 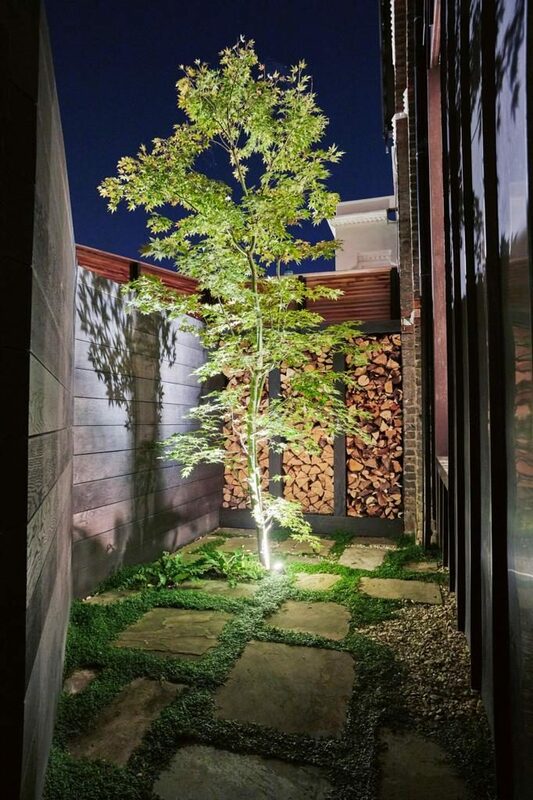 Garden lighting is the illumination of our outdoor spaces. Such as gardens, patios, buildings and parking areas. It could involve uplighting trees to down lighting pathways. It can be artistic as well as practical and can transform an area. The main difference with outdoor vs indoor lighting is the weather/element. Most outdoor lights and accessories have to have an IP rating. This indicates how water resistant an item is. The higher the rating, for example IP68, the better the resistance. Garden lighting should be installed according to the country’s electrical regulations. These regulations ensure all installations will be safe. The presence of an residual current device (RCD) is always required for all outdoor lighting. What is the difference between LED’s and Halogen? LED’s are the latest in lighting technology and are around 70-80% more energy efficient than old style halogens. LED’s can use mains voltage or drivers to power the lights. With the latest LED’s the light output (lumen) can match halogens. What’s the difference between extra low voltage (12v-24v) and 240 volt mains? Extra low voltage is not strong enough to cause a fatal electric shock. By moving to a lower voltage from 240volt to 12volt (which is done by using transformers or drivers) means that the lights carry a lower risk of causing injury. The other advantage of low voltage is that if any of the 12volt lights or junctions fill up with water, the household electrics cannot trip, ensuring greater reliability. For us it’s a simple answer. 12volt is by far the most reliable, the least susceptible to tripping and most importantly the safest. Can anyone install 12volt lighting? What’s the difference between copper, 316 stainless steel, brass and aluminium light finishes? The simple answer is which finish do you prefer? If you want an aged finish appearance, copper and brass are a good options. If you want a new, modern look without any dulling or ageing then 316 stainless steel would be your choice. Aluminium, usually comes in a painted finish and is a cost effective option. In regards to longevity, then copper, brass and stainless steel would be the best choices but are also more expensive. Aluminium finish lights are cheaper but if installed correctly, will also last a number of years. How deep do the cables need to be and what about foxes? The regulations are open to interpretation but we would always follow the regulation depth guidelines for 240volt. For 12volt cable there is no stipulation of depth. However, we would always recommend running all cables in conduit to avoid accidental or fox damage. This would involve burying them at least 30-40cm deep where possible. Is extra low voltage more energy efficient than 240volt mains? No, voltage does not influence energy efficiency. The amount of watts the lights uses is the indicator of power consumption. This is where LED’s are so revolutionary. An old 50watt halogen lamp can be replaced by a 7watt LED lamp without light output reduction. How do I know what lights to use and where? Do you use moulded connection lights? No we don’t. These systems tend to be aimed at the DIY market and are often limited. We have come across a lot of these systems and the most common problem is the plug and screw connectors snap or crumble easily. Is there anything we can do to make an installation easier if we are in the process of landscaping? Yes, try and ensure you put at least a 25mm conduit under any paths and patios. This can be used for lighting or irrigation if you decide at a later date to add them. Also if you are having electrical work done in your house or a rewire think about adding an outdoor socket. What guarantees do your lights and LED’s come with? All our lights and led lamps come with three year replacement guarantee. We have designed our range of lights to last in the harshest of environments. Our range of MR16 are specifically designed to be used in garden lighting to ensure your whole system can be run trouble free. Please ensure you save your receipts as this will be your proof of purchase.